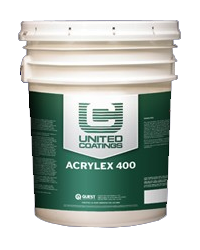 Acrylex 400 Primer exhibits excellent corrosion resistance over metal substrates and alkali resistance over structural concrete and masonry. 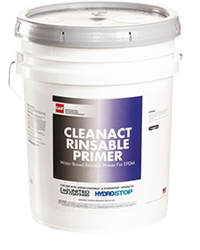 A water-based rinsable primer used for preparing new or weathered black EPDM surfaces. 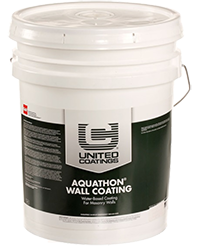 Liquid-applied United Coatings™ Aquathon® Wall Coating is a 100% acrylic elastomer coating designed to waterproof structural concrete and masonry wall surfaces as well as bridge existing and future hairline cracks. 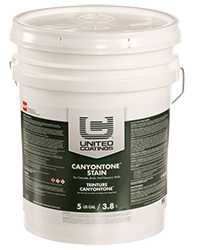 Liquid-applied United Coatings™ Canyon Tone Stain® corrects natural color imperfections in the substrate by imparting permanent color uniformity plus excellent water repellency without disturbing the natural texture of the substrate. 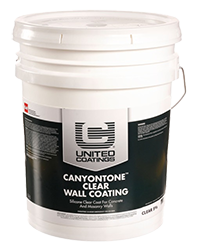 United Coatings™ CanyonTone™ Clear Wall Coating is a deep-penetrating structural concrete/masonry sealer and water-repellent treatment that protects against the intrusion of moisture and chloride salts. GAF CleanAct Rinsable Primer can deep clean EPDM by removing dirt, grit, talc, and oxidation with very little effort to prepare the EPDM substrate for acceptance of the HydroStop® PremiumCoat® System. 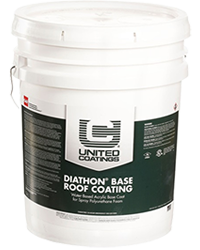 United Coatings™ Diathon® Base Coat is specifically developed for building film thickness prior to the application of an appropriate Diathon® Roof Coating. United Coatings™ Diathon® DS Roof Coating is specifically developed for protecting SPF substrates from degradation caused by normal weathering, aging, and ultraviolet exposure. 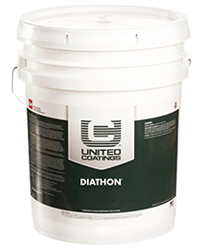 United Coatings™ Diathon® HT Roof Coating has the ability to uniformly cover the profile of textured substrates. Its dense, tight finish helps repel dirt and pollutants while the elastomeric membrane remains permanently flexible. 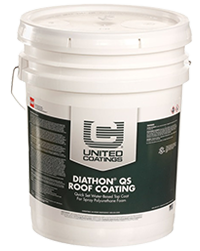 United Coatings™ Diathon® QS Roof Coating provides a faster-drying white top coat with elongation and tensile strength properties that are both maintained at lower temperatures. 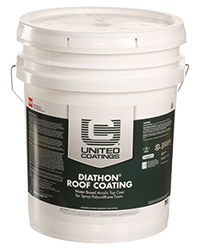 United Coatings™ Diathon® Roof Coating protects from degradation caused by normal weathering, aging, and ultraviolet exposure. 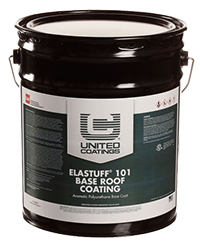 United Coatings™ Elastuff® 101 Base Roof Coating is a polyurethane base coat. When used along with Elastuff® 103 Roof Coating, it creates a roof coating system that provides an excellent balance of tensile strength, elongation, and hardness, along with excellent durability, dirt and mildew resistance, chemical resistance, weatherproofing, and high abrasion and impact resistance. 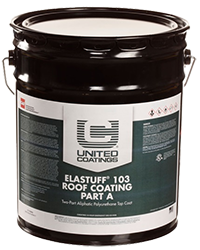 United Coatings™Elastuff® 103 Roof Coating is a high solids, moisture-catalyzed, UV-resistant, color-stable polyurethane roof coating. When used with Elastuff® 101 Base Roof Coating, it creates a roof coating system that provides an excellent balance of tensile strength, elongation, and hardness, along with excellent durability, dirt and mildew resistance, chemical resistance, weatherproofing, and high abrasion and impact resistance. 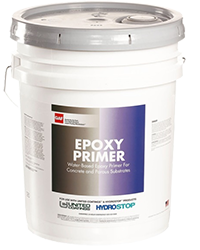 Epoxy Primer is designed to penetrate and seal porous substrates and to improve the adhesion of high-performance top coats. 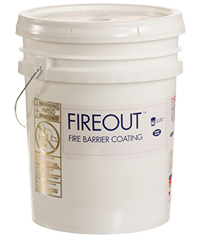 FireOut™ Fire Barrier Coating is a low-VOC water-based coating system that provides outstanding flame spread and penetration protection to combustible roof decks in the event of fire. 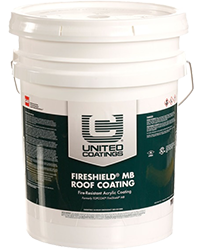 United Coatings™ FireShield® MB Roof Coating is formulated to provide maximum fire protection, increase a roof’s reflectivity, and protect the roof substrate from harmful ultraviolet rays. 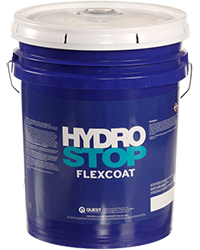 HydroStop® FlexCoat Wall Coating forms a tough yet flexible mildew-resistant coating. 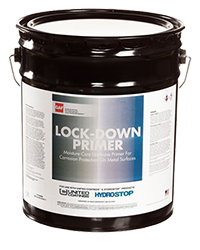 Lock-Down Primer exhibits the unique ability to “wet” into weathered substrates, developing superior adhesion while resisting corrosive conditions, even when sound surface rust is present. HydroStop® PremiumCoat® Finish Coat used in conjunction with HydroStop® PremiumCoat® Foundation Coat and HydroStop® PremiumCoat® Fabric creates the HydroStop® PremiumCoat® System. It is low VOC and has superior UV and weather resistance, and is simple to apply and maintain. 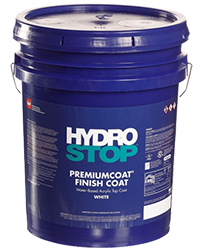 HydroStop® PremiumCoat® Foundation Coat is a water-based acrylic base coat. 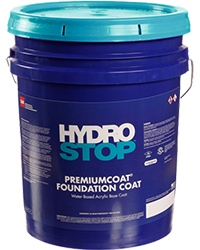 Used in conjunction with HydroStop® PremiumCoat® Finish Coat and HydroStop® PremiumCoat® Fabric, it creates the HydroStop® PremiumCoat® System which is a roofing and waterproofing solution for coating, recover, re-roof, and new roof applications. It provides a fully adhered, adhesively attached, breathable acrylic. 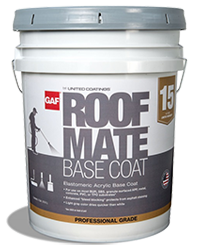 United Coatings™ Roof Mate™ Base Coat utilizes the latest advances in acrylic technology to improve adhesion of United Coatings™ Roof Mate™ Top Coat and to provide bleed blocking on asphalt roofs. United Coatings™ Roof Mate™ HT Coating is a “breathable” coating, allowing moisture vapor to pass through the film while remaining impervious to mass water penetration. It forms a waterproof elastomeric seal, uniformly covering the textured profile of various substrates. 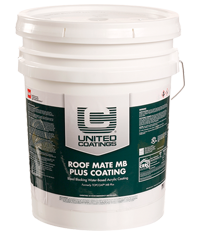 United Coatings™ Roof Mate™ MB Plus Coating has high reflectivity and flexibility, and resists unsightly bleed-through over asphalt substrates. It also includes potent biocides that provide mildew resistance. 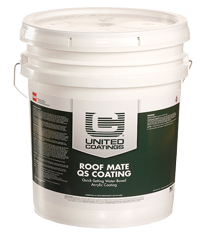 United Coatings™ Roof Mate™ QS Coating is a water-based acrylic elastomeric top coat designed to be applied over Roof Mate™ Base Coat and achieve wash-off resistance from a light rain or dew in approximately 30 minutes. 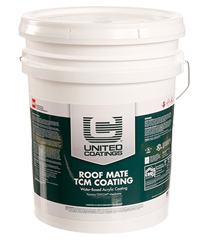 United Coatings™ Roof Mate™ TCM Coating is a water-based acrylic roof coating that provides protection from weathering, aging, and ultraviolet exposure. 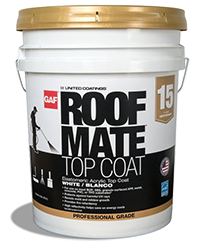 Roof Mate™ TCM Coating meets ASTM D6083, has excellent adhesion, elongation, and tensile strength in both cold and warm climates, and includes biocides that provide good mildew resistance. 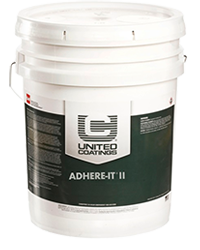 United Coatings™ Roof Mate™ Top Coat is a water-based high solids elastomeric coating utilizing the latest advances in acrylic technology. 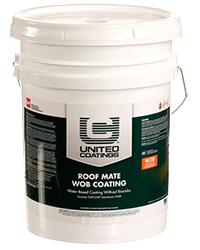 United Coatings™ Roof Mate™ WOB Coating provides protection from weathering, aging, and ultraviolet exposure. 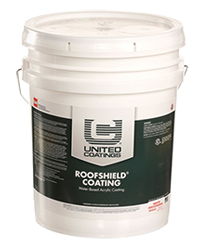 United Coatings™ Roofshield® Coating is a water-based acrylic roof coating that provides a durable, protective weathering layer for low-slope roofs. Roofshield® Coating is also highly reflective, directing heat and UV away from the building. 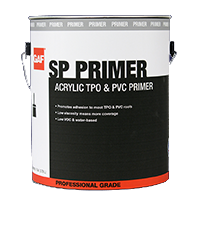 SP Primer is a low-viscosity, high-build, water-based acrylic primer that develops a tenacious bond to new or existing TPO and most PVC single-ply membranes. 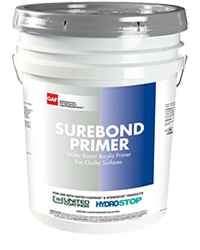 SureBond Primer adheres firmly to all types of masonry, metal, and chalky surfaces. 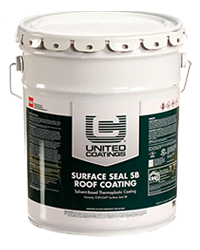 United Coatings™ Surface Seal SB Roof Coating is a solvent-based, sprayable thermoplastic rubber coating that cures to form a seamless rubber membrane. It is highly reflective, provides extra protection, and is highly flexible to accommodate temperature-related expansion and contraction of the roof system. 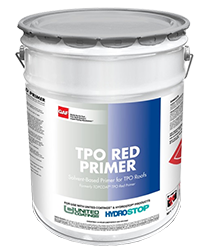 TPO Red Primer is a VOC-compliant solvent-based thermoplastic liquid to be applied to new or aged EverGuard® TPO membranes where adhesion of TOPCOAT® water-based coatings or MajorSeal™ Liquid Flashing is desired. 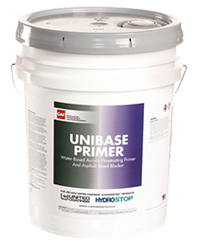 UniBase Primer is designed to enhance the adhesion of Roof Mate™ top coats or the PremiumCoat® System over approved surfaces, and as a saturant for fabric reinforcement applications. 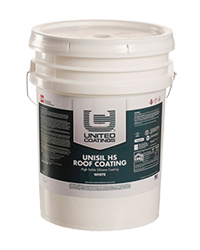 United Coatings™ Unisil HS Roof Coating provides superior weatherproofing, ultraviolet resistance, biological resistance, and fire resistance over polyurethane foam insulation and other appropriate substrates. Its pure silicone polymers are naturally fire resistant. 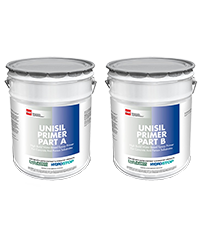 Unisil Primer increases the bond of acrylic, polyurethane, butyl, and silicone coats over most new or existing roof, deck, and wall substrates, as well as existing coatings. 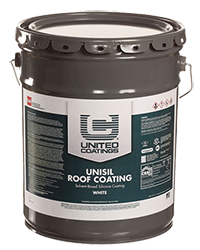 United Coatings™ Unisil Roof Coating is a single-component elastomer that exhibits a rapid cure when exposed to ambient conditions. 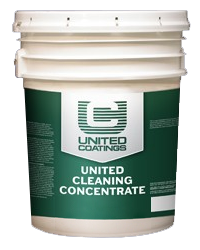 United Cleaning Concentrate (UCC) was especially developed for the proper cleaning of existing elastomeric coatings on roofs, metal surfaces, structural concrete, and masonry substrates as well as uncoated roof, deck, and wall surfaces. 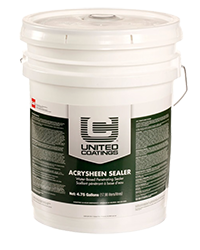 United Coatings™ Acrysheen Sealer is a water-based sealer that protects against industrial airborne chemicals. 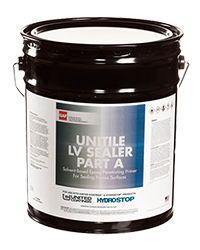 UniTile LV Sealer imparts a tenacious chemical and physical bond to seal porous substrates and to improve adhesion to aluminum, coated steel, galvanized metal, concrete, transite, masonry, existing coatings, wood, and OSB. 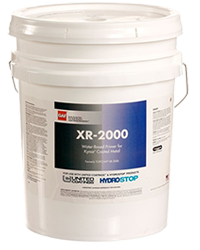 XR-2000 Primer is a white, water-based, 100% acrylic adhesion-promoting primer designed to enhance the adhesion of the TOPCOAT® Roofing System to pre-finished metal roofing. This is the help section for the site. Note: Each roof has unique requirements. The information provided by the Coatings Coach is based on the criteria provided to GAF and is for guidance purposes only. To properly assess specific roofing needs and code compliance, GAF recommends consultation with a design professional. GAF does not practice architecture or engineering, and has not evaluated the jobsite conditions, contract specifications, or other documents. For more information on GAF system configurations and warranty eligibility, please contact your local sales representative or Technical Services at 1-800-ROOF-411. This is the product details section for the site.